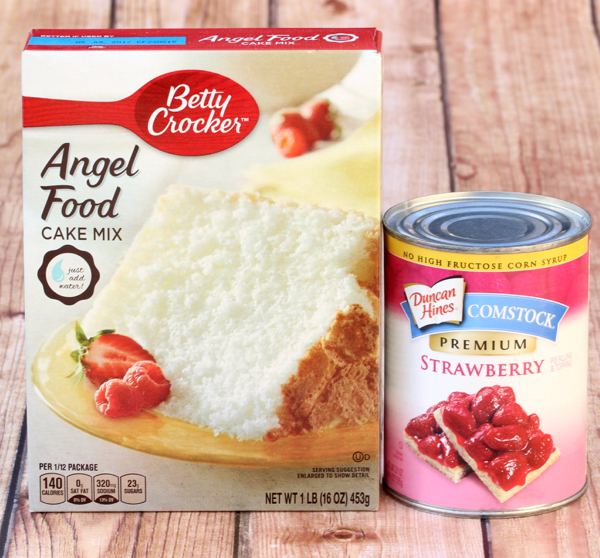 Skip all the effort and keep it simple with this easy and delicious 2 Ingredient Strawberry Angel Food Cupcakes Recipe! 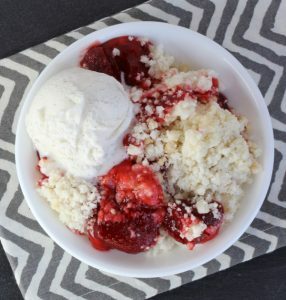 Get ready for some Strawberry Angel Food bliss. 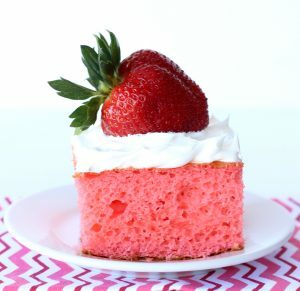 Strawberry happiness is sure to happen when you make this crazy-easy 2 Ingredient Strawberry Angel Food Cupcakes Recipe! Who doesn’t love Cupcakes? Plus… they’re pretty darn guilt free! I have a house filled with a sweet-tooth lurking around almost every corner, so I am always looking for as many guilt-free desserts as I can find. And besides, life with dessert is just sweeter! 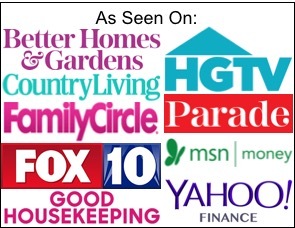 Related: Let me show you how to get Free Grocery Gift Cards! 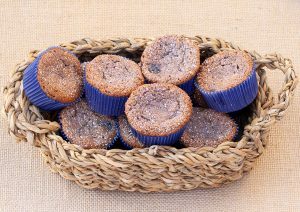 Line Cupcake Muffin Tins with Cupcake Liners. 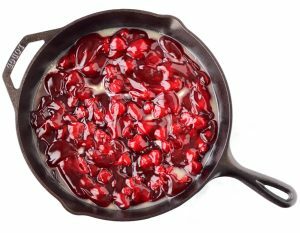 In large mixing bowl, stir together powdered cake mix and contents of Strawberry pie filling can. Mix well by hand with large spoon. 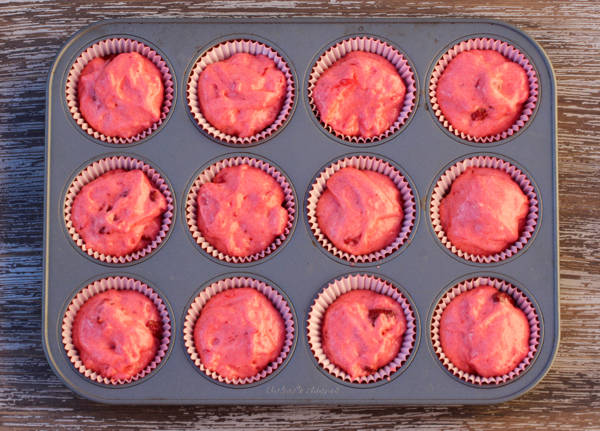 Fill each cupcake liner approx. 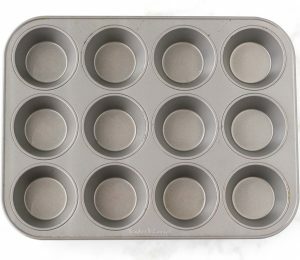 ¾ full with batter. Bake for approx. 20 minutes, or until done. 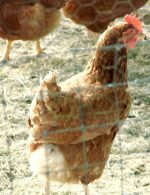 Allow to cool in pan for a few minutes, than transfer to wire racks to finish cooling. It is normal for the cupcakes to fall in the center a bit while cooling. 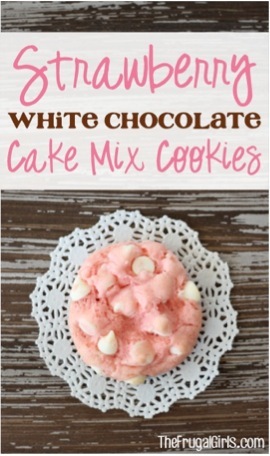 You can enjoy as is, or top with cool whip or cream cheese frosting. 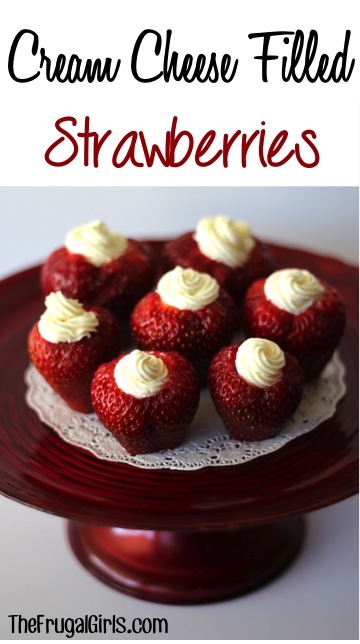 Ready for more delicious Strawberry Recipes, fabulous summer dessert ideas? 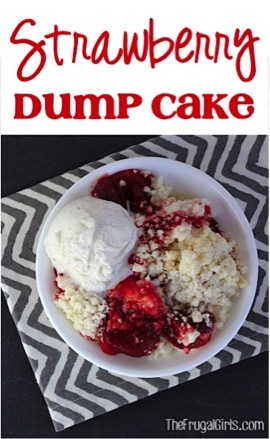 Take your Strawberry love affair to a tasty new place with this easy Strawberry Dump Cake Recipe! 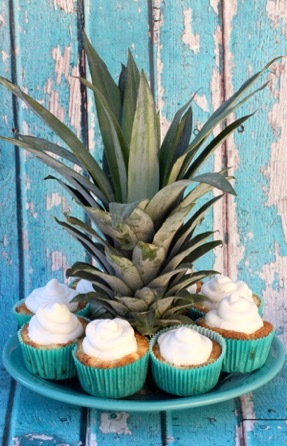 Infuse some tropical pineapple flavor into your day with this yummy Pineapple Angel Food Cupcakes Recipe! 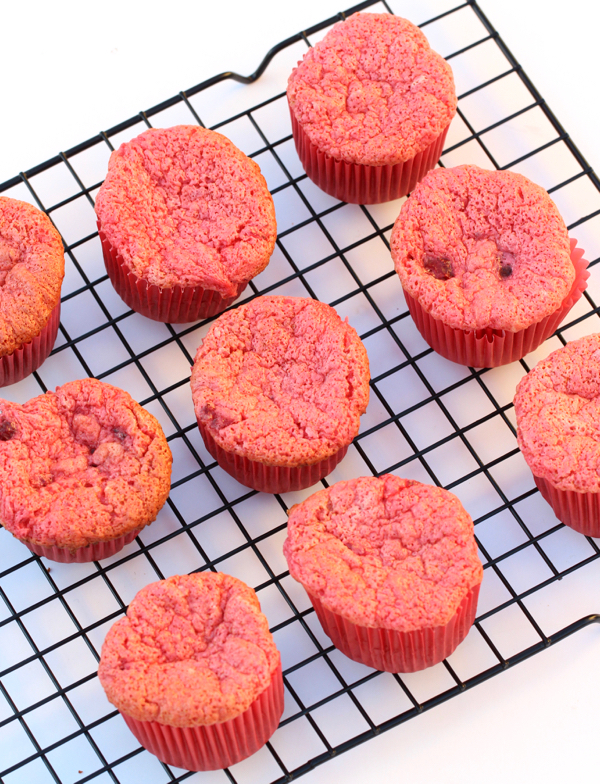 These simple 2 Ingredient Blueberry Angel Food Cupcakes are so easy and so so so yummy! 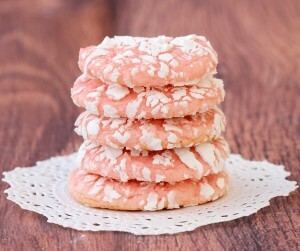 Make these for your Summer Parties, Bridal Showers, Baby Showers, or 4th of July bashes ~ they’ll be a hit, I promise! Experiencing a cheesecake craving? 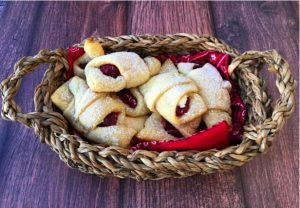 These yummy Strawberry Cheesecake Crescent Rolls are your answer! 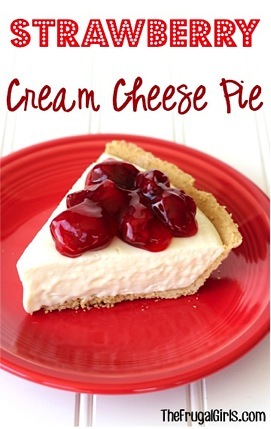 Go grab the cream cheese, and get ready for the easiest Pie recipe ever! 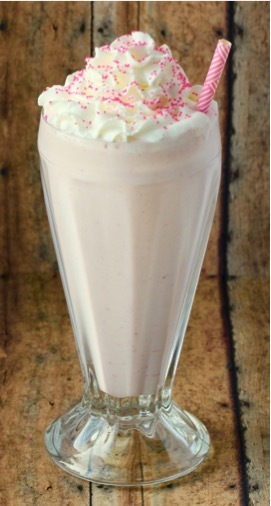 Spoil your family with this ridiculously easy Strawberry Milkshake Recipe… and get ready for hugs and kisses of gratitude!! Get your tastebuds ready for some Strawberry Julius deliciousness!! Are you ready to enjoy your own taste of sunshine? 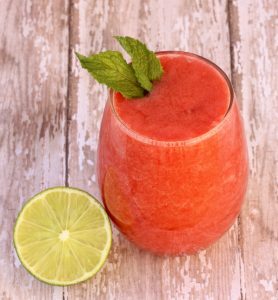 I know you’re going to love this fun slush. Welcome summer with a delicious nostalgic dessert. 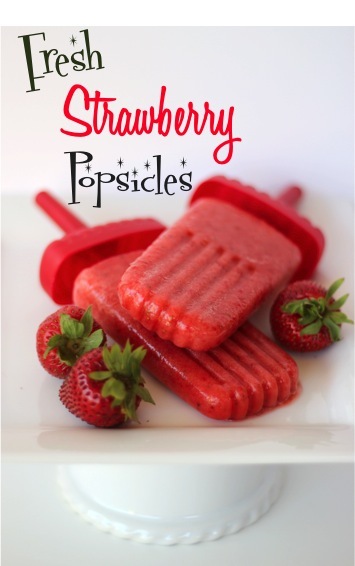 You’ll LOVE this Fresh Strawberry Popsicle Recipe… it’s so easy with just 3 ingredients! 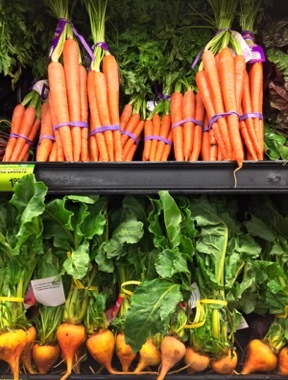 Let your senses savor the flavors of summer as long as possible! These 3 ingredient dessert recipes serve up some crazy easy dessert temptations! Should this work with a white cake mix? 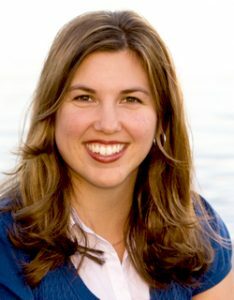 Hi Leah ~ I honestly haven’t tried with a white cake mix. If you do, let us know how it turns out! To lower the sugar do you think this would work with frozen (thawed) unsweetened blueberries? Hmm… I honestly haven’t tried it that way, but if you do… let me know how it turns out!